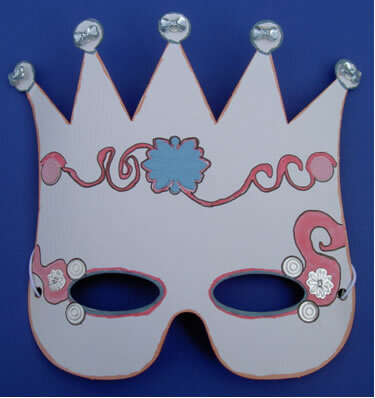 These masks are great fun and can be made to look very different. Imagination is the key to these. So if you think your child has got what it takes to make something different and exciting then these could be for you. Just about anything can be added to these, from feathers and sequins to stickers and felt pens. Berni will be pleased to discuss this with you.They are held on with elastic.